If you would like to receive information about the work of Dyfed Archaeological Trust, our future events and volunteering opportunities please contact Sarah Rees - s.rees@dyfedarchaeology.org.uk - 01558 825999 giving your name and email. This data will be held on computer solely as a database for contacting yourself, and the data will not be divulged to anyone outside the Dyfed Archaeological Trust. Personal data collected by Dyfed Archaeological Trust complies with the 2018 General Data Protection Regulation (GDPR). 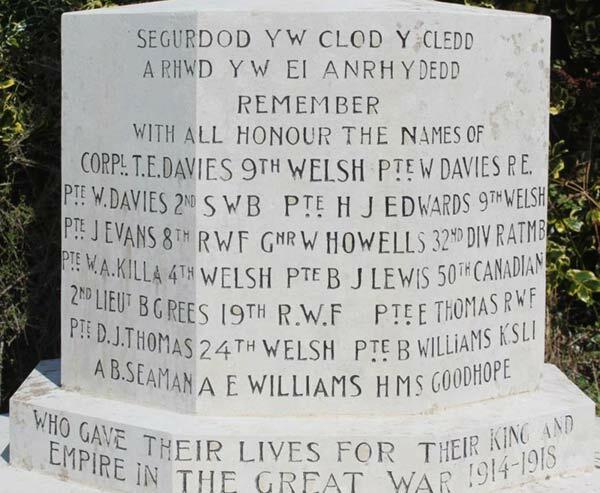 We are looking at how the First World War was commemorated in communities across southwest Wales . We are recording all forms of war memorials. Most are stone monuments or plaques, but they sometimes can be public buildings - often named Memorial Hall or Neuadd Goffa. 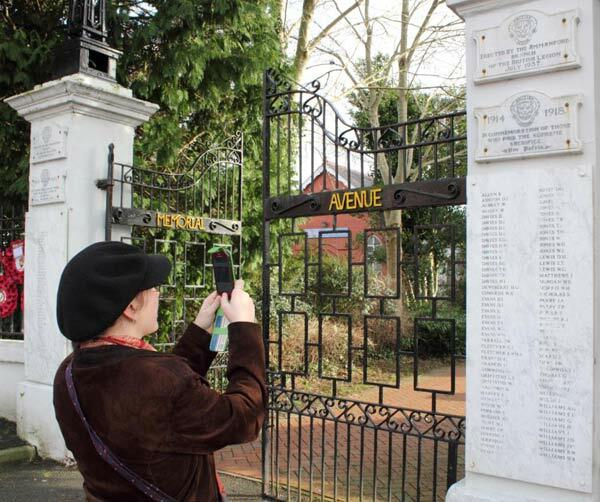 We would very much like your help to record these monuments, and if you have a camera (most phone cameras are perfectly adequate) and would like to send us your photographs please do. • Where is the memorial? Please send us details of where it is located; either a grid reference, a latitude or longitude (available from Google maps - look up Tips and tricks) or an address. • Photographs of the inscriptions, ideally close enough to be able to read them. These may include casualties from other wars such as the Boer War (1899-1902), or the Second World War (1939-45). • If there is an inscription of the monumental mason, please photograph that too. • Photograph any other points of interest you notice. • Send us your photographs by email or CD – see contact details below. If you would like to make a more detailed record on a special form in which the size, form, construction of the memorial is recorded, then please get in contact. 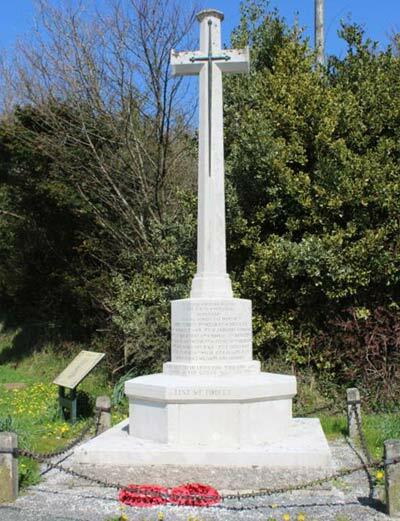 Perhaps you are part of a group and have carried out your own research into local memorials? If so we'd love to hear from you.